We have 3 positions available: Senior Ruby on Rails Developer, Administration Lead and Marketing Intern. These jobs will not be easy. There will sometimes be long hours and difficulty. But there will also be great victories and satisfaction. You will play a big role in developing a service helps to build the IT community in Vietnam. We have a fun, Silicon Valley style startup culture that values openness, transparency and awesomeness. 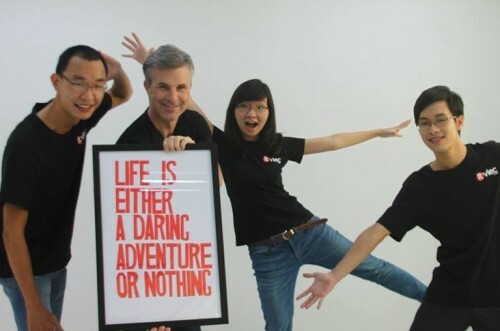 You will work closely with our CEO to grow ITviec from unknown to well-known in Vietnam. Our CEO creates a personalized development plan for each person in the company. We also offer regular on-the-job training on topics such as “Dac Nhan Tam,” Presentation Skills, Selling Skills, Negotiation Skills and Communication Skills. If you’re looking for challenge, not comfort — if you’re looking to be part of something special — then apply today by clicking on one of the links above.